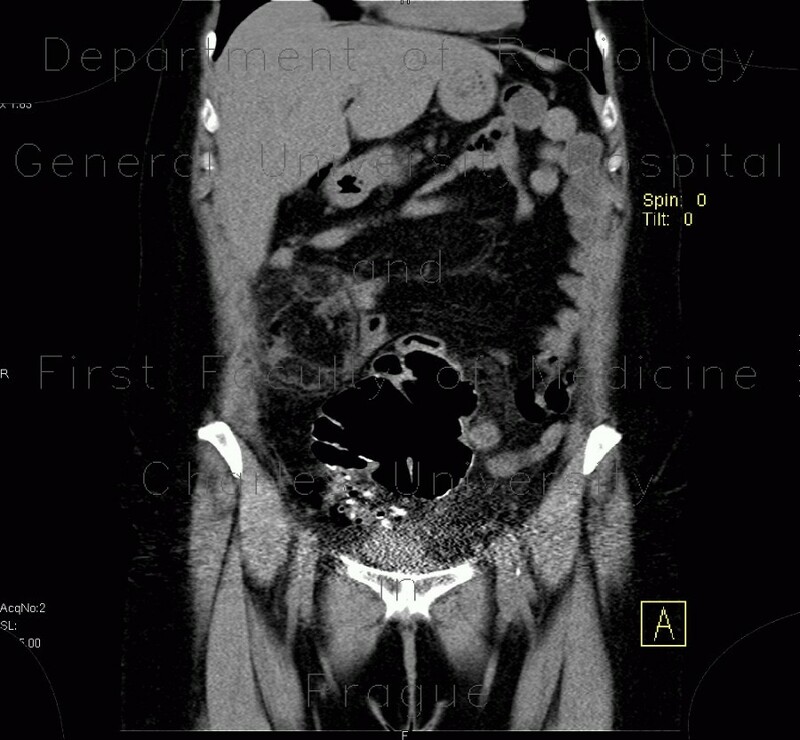 A patient, who underwent right-sided hemicolectomy with ileotransversoanastomosis, developed abdominal pain in the early postoperative period. Therefore, CT of abdomen was requested to rule out any complication. Interestingly enough, it showed a mass of edematous meseteric fat in the right mesogastrium with several air bubbles suggesting its necrosis. The bowel loops remained uncompromised and there was no evidence of any anastomotic leak.